Ah, the beach. What a fabulous destination for any party!? Your backdrop is your decor so you could spend minimal money on decorations...and who doesn't love breathing in the salty air? You can make your event as intimate and cosy or elegant and refined as you'd like! It's the perfect location for weddings, birthdays & anniversaries for those looking for a coastal feel. Wouldn't you just die for this setting?! 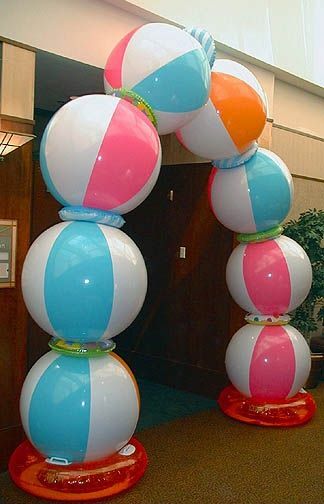 If you can't have your event on a beach, you can always have a beach theme. The dollar store or in August/September when all beach items go on sale is a great resource for snagging buckets, pails, beach balls and flip flops for dirt cheap!